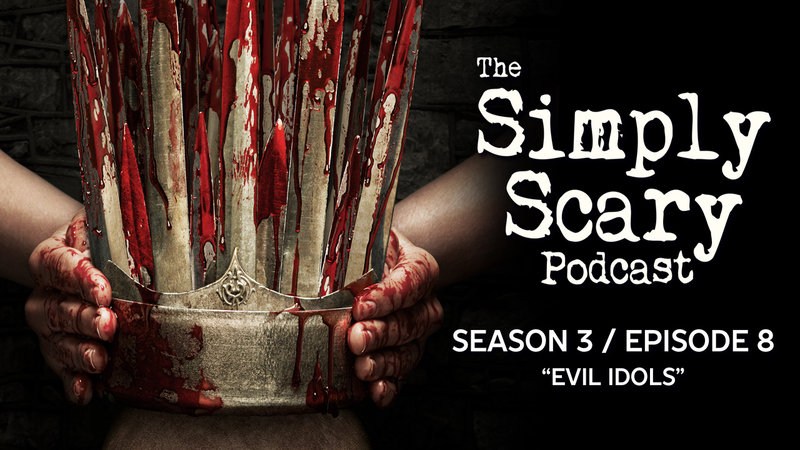 Welcome to Season 3, Episode 8 of The Simply Scary Podcast, with your host, 2017 Evil Idol voice acting competition champion Jonathan West, filling in for G.M. Danielson. Turn off the lights, and turn on the dark. 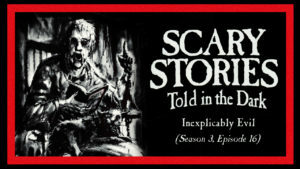 In this episode of The Simply Scary Podcast, we’ll be your guide tonight through the twisted worlds and disturbed imaginations of several amazing authors, featuring performances from five hand-picked Evil Idol 2018 contestants, who made a big splash with our judging panel and audience in the first round of this year’s competition. The Evil Idol competition is hosted exclusively on the Chilling Tales for Dark Nights YouTube channel. Starting October 1st, the 10 contestants that advanced from Round 1 will begin competing to see which 5 of them will advance to the 3rd and final round in mid-October. We need your help to decide who will be crowned the monarch of the macabre. Each contestant will be performing a full-length tale of terror, and after their performances, you’ll have the chance to up or down-vote each competitor, and help decide whether they advance to the final round or not. Listening and voting are both 100% FREE, so don’t forget to check it out and participate, and help us crown the next king or queen of the crypt. Again, round 2 of the competition begins October 1st on Chilling Tales for Dark Nights’ YouTube channel, or visit Chillingtalesfordarknights.com/evilidol2018, for more information today. The version of this podcast which is made freely available here contains advertisements. To enjoy the ad-free premium version of this episode – as well as our extensive audio archive of other terrifying tales and extended podcast episodes – please sign up for a Patrons accounts today. “Operation Stingray” (Chapters 1-5) by H.K. Reyes. Narrated by Jonathan West. Sound design and original score by Felipe Ojeda.